"BUOY CRAZY" is near and dear to my heart. 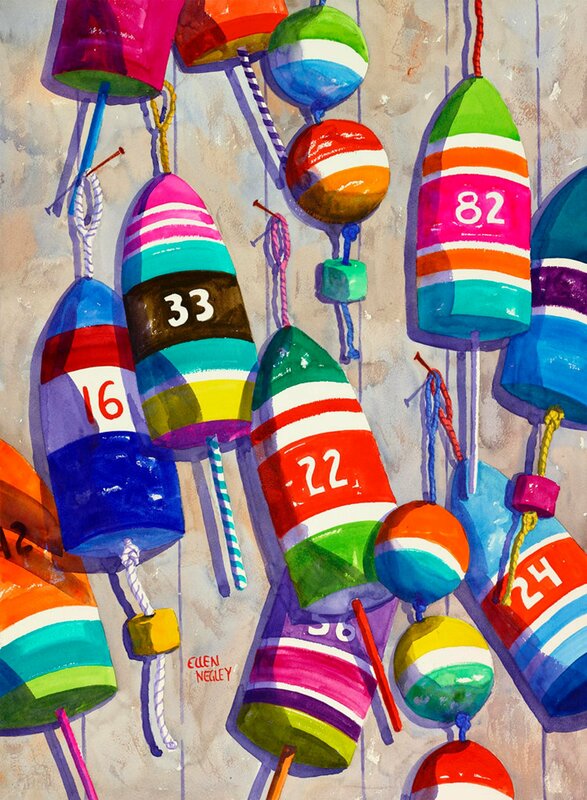 It's so fun to paint buoys...I use every color on my palette. I also like the overlapping and trying to understand how the shadows fall. I like how the gray background sets off all the other colors.